The weather looked good and with fireworks over the harbour in the evening, we decided to have barbecue. This was a very last minute and informal affair. Wellington’s weather was true to form. In the hours between deciding to hold the event and everyone arriving, the weather turned slightly for the worse and it was a bit chilly and windy as I barbecued with a mate. I’ve been sampling the range of sausages from L’Authenque. I purchased Angus Beef snarlers to have on the barbecue. I added to the variety by getting some pimenton from Zamora in Queenstown out of the freezer. 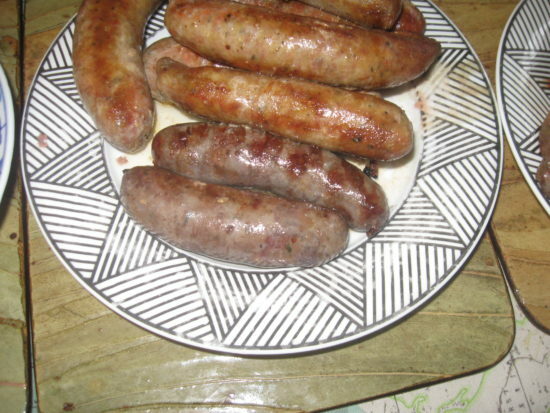 The Angus Beef sausages come in a pack of four. My mate and I did a bit of quality control and ate one fresh off the barbie. The two of the snarlers are at the bottom of this plate are the Angus Beef. The rest are pimenton. The Angus Beef is a meaty sausage with no fillers added. It is made of Angus beef, pork fat, mustard seeds, parsley, white wine and vinegar. The dominant flavour is one of meaty Angus beef. In each morsel you can see whole mustard seeds which add to the layers of flavour. The sweet and spicy flavour of mustard seeds is the dominant secondary flavour. Both of us sampling the sausage thought that a fine balance between the meat and flavours was achieved. This melange of flavours creates one the best beef sausages I have eaten recently. 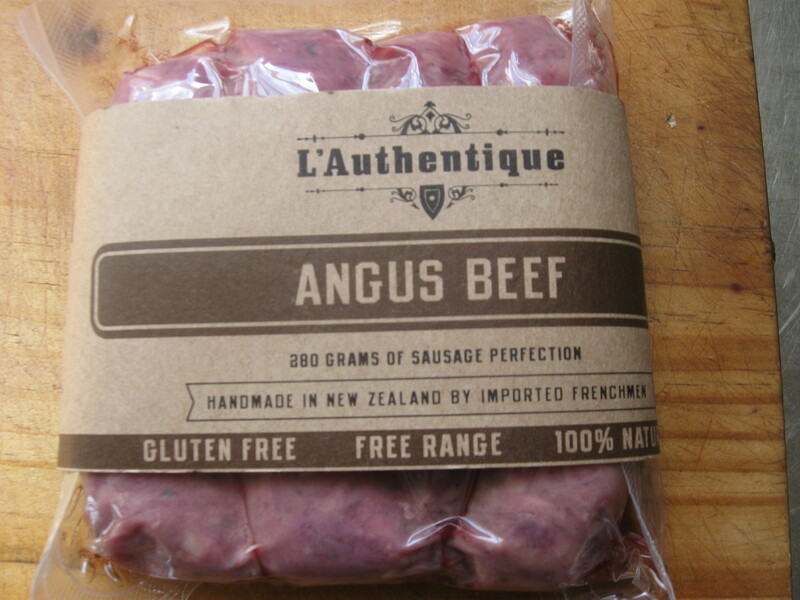 L’Authenique make great sausages, they are delectable snarlers that will be appreciated by those who enjoy sampling the fine art of sausage making. I would recommend you sample some and form your own opinion.